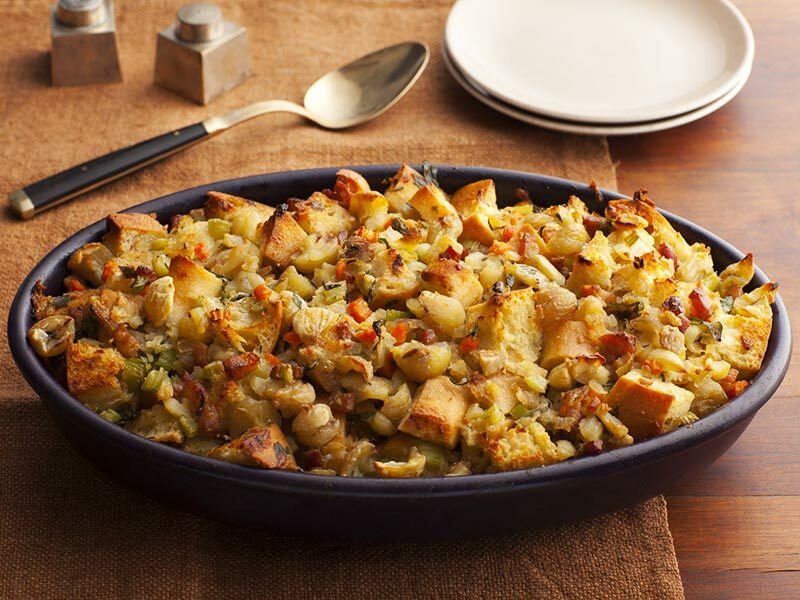 This nicely seasoned stuffing is our favorite for holiday turkeys. 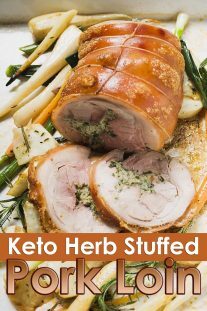 It doesn’t require a lot of prep time, which I like, and it tastes good whether stuffed in the bird or baked separately. 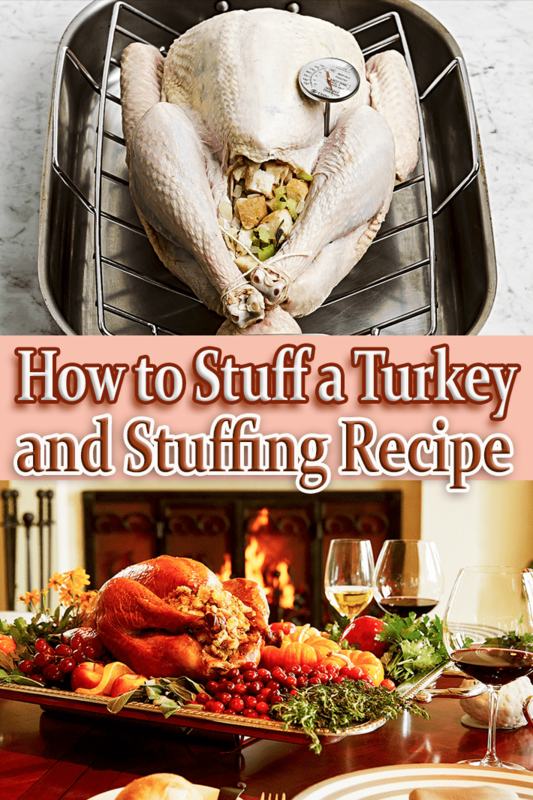 This basic homemade stuffing is the best ever easy Thanksgiving stuffing, perfect for you holiday gatherings and easy to make. In a large skillet, saute onions and celery in butter until tender; add garlic, cook 1 minute longer. Transfer to a large bowl; add the broth, parsley, sage, poultry seasoning, salt and pepper. Gently stir in bread cubes until mixed. Spoon into a greased 13-in. x 9-in. baking dish (dish will be full). Bake, uncovered, at 350° for 30-35 minutes or until lightly browned and heated through. Yield: about 12 cups. 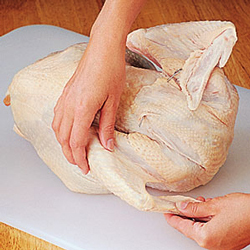 Follow these easy step-by-step directions to learn how to stuff a turkey. Combine stuffing ingredients as your recipe directs. Do not stuff turkey until you’re ready to place it in the oven. Spoon the cold stuffing loosely into the neck cavity. 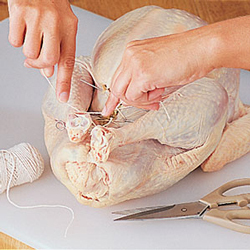 Pull neck skin over stuffing to the back of turkey and secure with a skewer. Tuck wing tips under body to avoid over-browning while roasting. Loosely spoon stuffing into the body cavity. 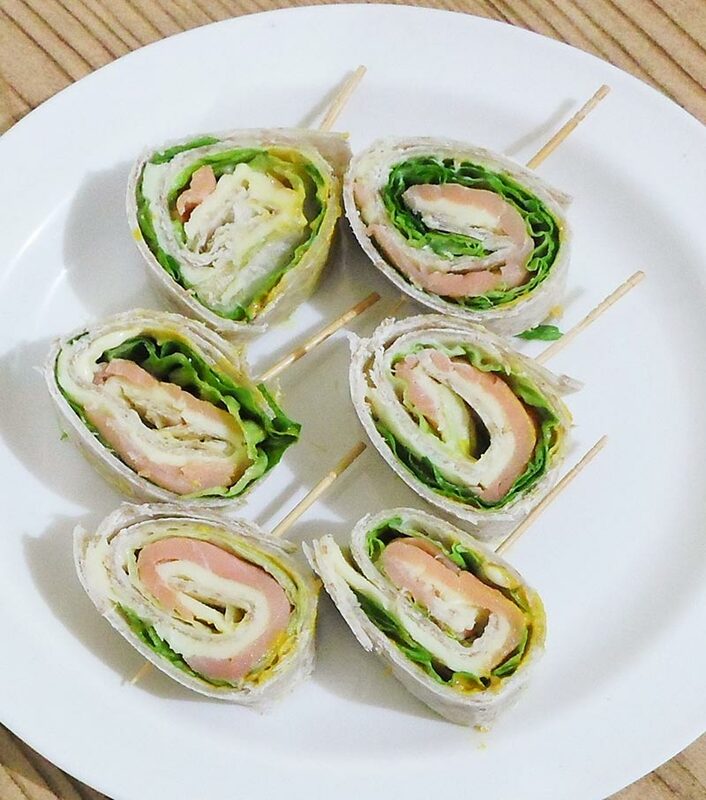 Tie drumsticks together with kitchen string. Place turkey breast side up on a rack in a shallow roasting pan. Brush with oil or melted butter if desired. 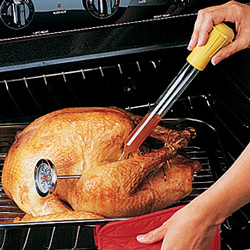 Insert an oven-safe meat thermometer into thick portion of inner thigh area, not touching bone. 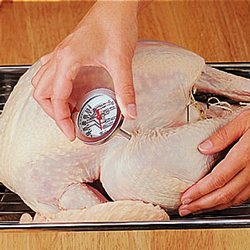 Or use an instant-read thermometer toward end of roasting time. Roast turkey as your recipe directs. 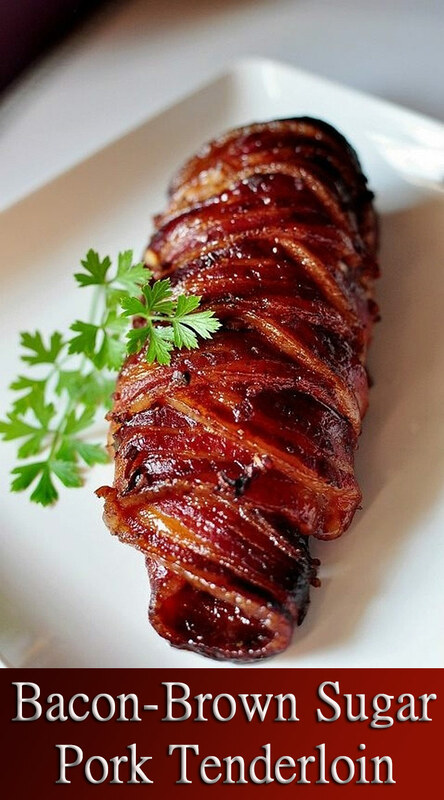 Baste with pan juices if desired. 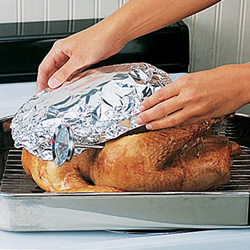 When breast area has browned, loosely cover with foil to avoid excess browning. 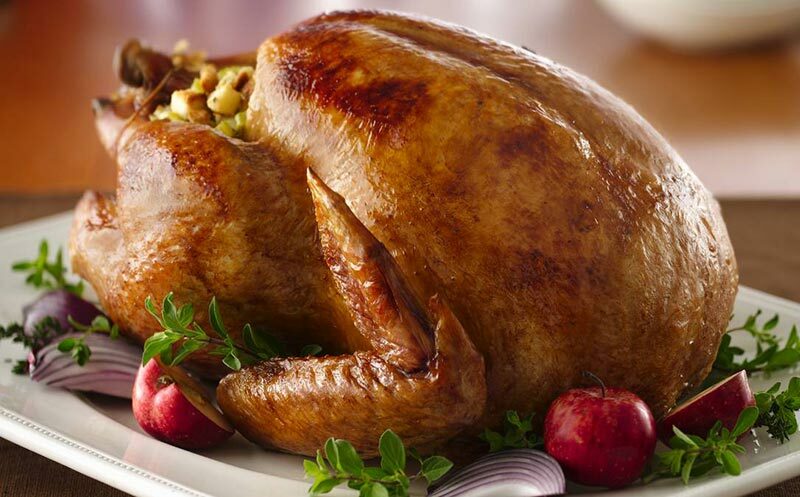 Continue roasting until the thermometer reads 170° to 175° in thickest part of the thigh and internal temperature in the center of stuffing is 165°.